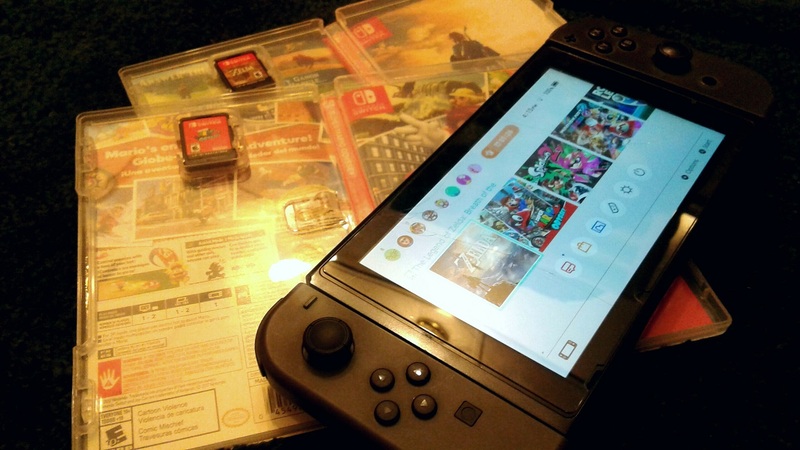 KoopaTV: Reviews in Review: Get Rid of the Number Score? By LITTLE FRUINI - Numbers don't tell the full story. On a scale of up to 10, do you agree? Numbers can be used for everyday activities: the date, the time, and of course, the score. As it’s the new year, it’s typical to look back on the many successes and failures of the year, and of course, I can’t neglect reviews, the very things people look back to give a product a number, typically between 1 to 10. Ladies and gentlemen, meet The Champion. Now that I think about it, Ocarina of Time has the highest score, so that joke doesn’t work. The number system is flawed, but in more ways than one. After all, it’s wrong to compare a skateboard game to an open-air game like Zelda. Both are wildly different genres, and the internet wasn’t as mainstream as it is now. Games like Call of Duty would be viewed more favorably than an underappreciated game like Fire Emblem: Radiant Dawn. I’m going on a tangent, but Breath of the Wild is by no means perfect, despite the 10/10 score. The User Interface has room for improvement, the game could’ve easily supported touch controls, both on the Nintendo Wii U and Switch, there is no “Pet” button for the animals, and there’s no post-game, which could’ve been perfect for the second expansion pack, The Champions’ Ballad. I’ll talk about Breath of the Wild on a different date, but my point is, a number score doesn’t show the entire picture of a game. The reviews itself also do not consider updates and new content. Many review websites gave Splatoon 2 a score of 8, excluding some decimals. The online shooter now has more maps for its recruitment mode, Salmon Run, more weapons giving users access to different playstyles, more character customizability, engaging Splatfest activities for community engagement, and a new Ranked Battle mode, Clam Blitz. How’s that score now? The 83 score on Metacritic you see right there? It'll probably stay like that, forever. Anyway, a number system is flawed. Another option is something like a voting system. Let’s think Splatoon’s Splatfests, or Party Crashes from the not-recommended ARMS. Should scores be representative of the popular vote and move on to a public system, like a battle-like contest or debate? A “best-of-the-best” system works, too, but that hardly reflects enough of the individual game. However, it’s still great, as such a system sets an example for what other developers should achieve with their games. There’s even an entire show based on the medium (see: The Oscars, The Golden Globes, The Game Awards). It’s separated into categories, so it’s a much better system for comparing games, but as stated before, it hardly reflects enough on the individual game itself. What’s the best course of action, then? Metacritic should adopt a style similar to that of Rotten Tomatoes, where the overall score is dependent on whether the reviewer liked it or didn’t like it. The score reflects the probability of whether you’ll like the game or not. It’s been a great year for video games! Also, the staff is considering getting Rocket League, a game you can see on the distant right that I recently purchased, if you mind helping them out. As for me, I think I'll refrain from giving things numbers from now on. Could such a movement put Metacritic out of business? Maybe, but they should see my proposed solution to prevent such a drastic misfortune. Why did I write a proposal to a problem that doesn’t appear to be one? Aside from my future Breath of the Wild review (feel free to subscribe to me on YouTube if I do make it), I am doing this for the KoopaTV Loyalty Rewards Program, which encourages site engagement. Anyway, happy new year, and may we see another great year among video games! The owner of this website personally believes that critic reviews are becoming irrelevant, scoring system or not. KoopaTV does a best-of-the-best system with its Game of THAT Year Awards. Here are 2017's. Speaking of awards, this article and its author won the best guest commentary and guest author awards in 2018! I do agree that game reviews should do away with the number system, but more due to the practice of professional reviewers giving arbitrary numbers based on how much the developing company is paying them. Other than that, the only problem with anything you've said here is "the game could have easily supported touch controls" as being a flaw. I don't personally have a PROBLEM with touch controls, but I do prefer non-touch and from past reactions to touch games I don't think I'm alone in this. Professional reviewers technically already get paid thanks to getting a video game for free, not to mention the bonus from web traffic and the like. When I mention "touch controls", I'm referring to actions with the User Interface, mainly the Sheikah Slate, like using the map or scrolling the pictures. I don't really want gameplay to be completely oriented around the touch screen. Number based scores are arbitrary and only reflect the reviewer's personal opinion. As you suggested, it would be much better if aggregate scores were totaled like the scores on Rotten Tomatoes. Either way, no one should read just one review but multiple to develop a clear opinion if he or she wants to purchase the game.